Thank you for your interest in Professional Women of Statesboro (PWS). PWS is a group of local businesswomen and professionals with four unifying goals: to promote a spirit of cooperation and understanding among members, to provide a strong network of professional contacts, to contribute to the mutual education and encouragement of our members, and to achieve recognition of the contribution of women to the community. PWS is a rapidly growing group; our membership currently numbers forty, and more women are joining every month. PWS represents every sector of the professional community; our membership includes attorneys, accountants, insurance sales, marketing professionals and business owners. PWS meets every third Wednesday of the month at noon for lunch. Guest speakers are invited to give our members a short presentation on topics relating to today’s professional woman. Past topics include Networking Skills, Leadership Development Workshops, and Communication in the Workplace. Our organization believes in the empowerment of women in our community through professional development, facilitating relationships, and contributing to the community we live in. PWS dues are $225.00 annually, or $56.25 per quarter. The membership dues cover meal costs and fund our professional development speakers and program content. 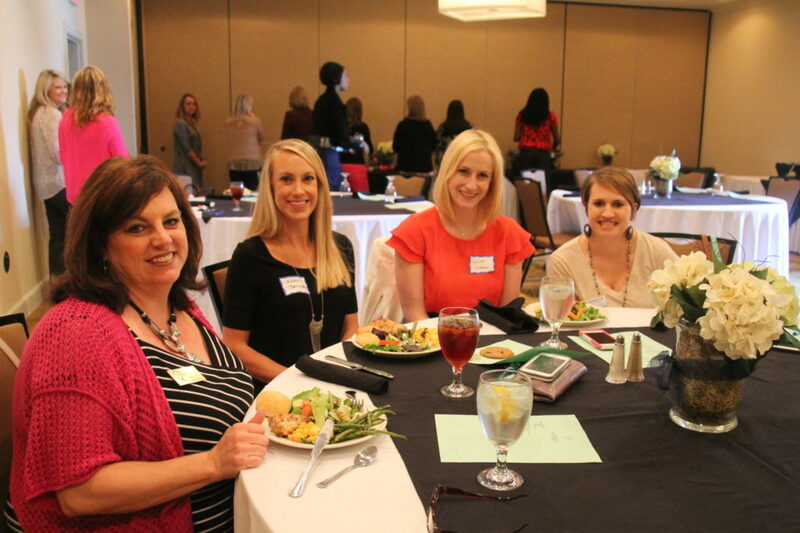 We hope you will consider joining the Professional Women of Statesboro. Membership provides an excellent way to network with other women in our community, as well as meaningful opportunities for personal and professional development. Click here to find the PWS application. Please contact me if you have further questions.